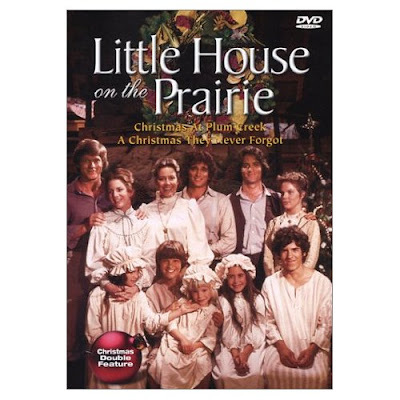 I loved watching Little House on the Prairie and their Christmas Special is one of the best Christmas movie (TV Movie) as far as I am concerned. We watched it again last night. I'd be back tomorrow for more discussion on Christmas movies.. I have reached my "blogging time limit" for today :). Little House on the Praire is the best. We bought the DVD collections of all the seasons, and my four daughters are now hooked. Michael Landon did such a great job developing characters, showing conflict, and showing right vs wrong, good vs bad, and what results from each. Thanks for stopping by. I'm glad to know your daughters are also now hooked to Little House on the Prairie. My brother is sending me the DVD of teh frist season as a Christmas gift. I'll be watching them with my kids. I visited your blog and enjoyed it too. I'll add you to my link and/or blog roll.